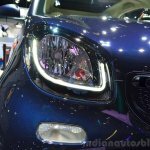 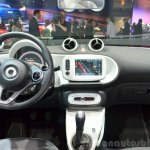 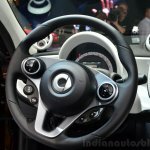 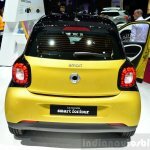 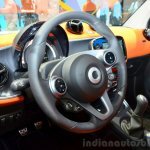 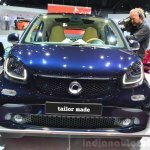 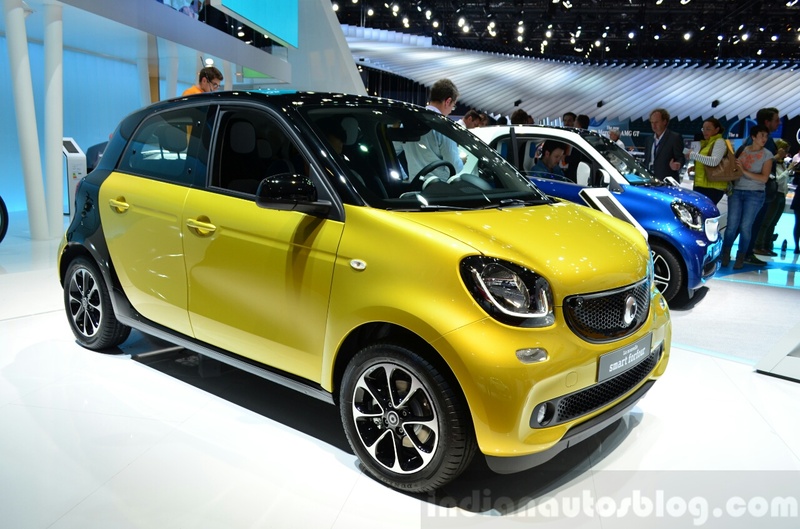 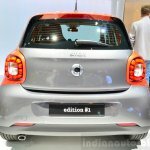 The 2015 Smart ForTwo and Smart ForFour city cars have been showcased at the ongoing 2014 Paris Motor Show. 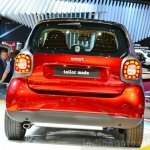 Inspired by the Smart FourJoy concept that was debuted at the Frankfurt Motor Show last year, the duo build on the ease-of-driving character of their respective predecessors. 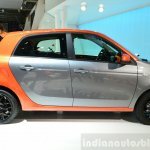 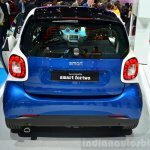 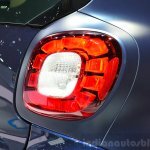 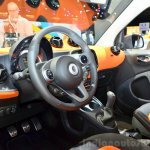 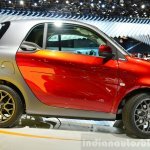 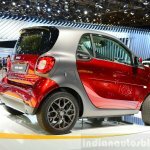 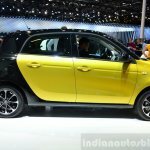 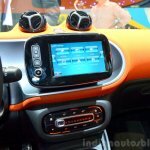 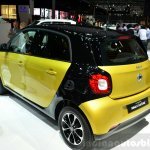 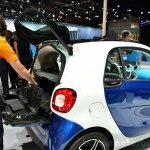 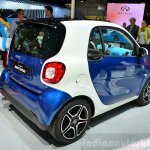 The new Smarts received inputs from tech partner Renault. 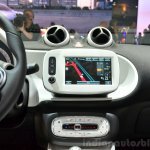 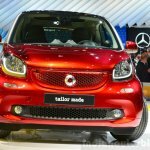 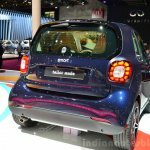 The ForTwo measures 2,690 mm in length, 1,660 mm in width and 1,550 mm in height and 1,873 mm in wheelbase. 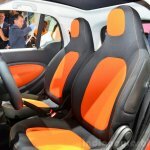 The two-seater has a turning circle of only 6.95 m.
The ForFour has a wheelbase of 2,494 mm and measures 3,490 m long. 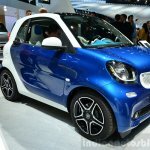 The width and height are identical to its kid brother. 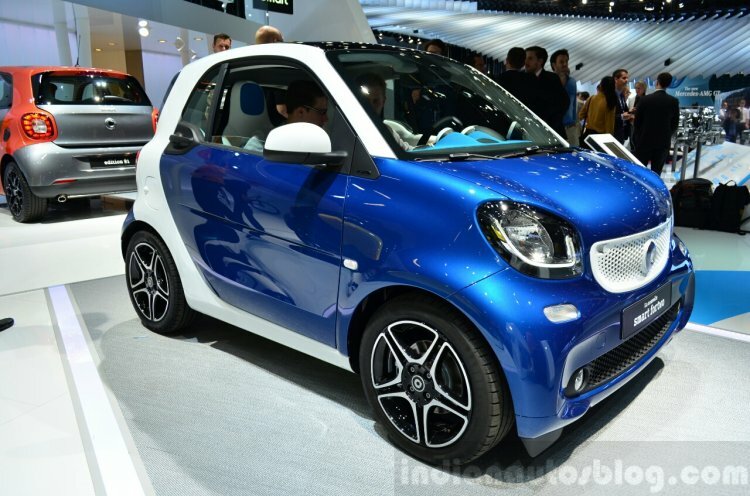 The turning radius stands at 8.65 m.
The duo have been developed with inputs from the technical partner Renault. 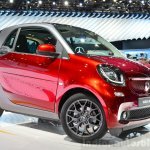 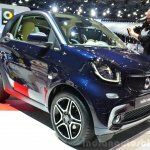 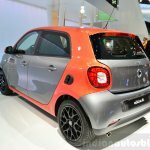 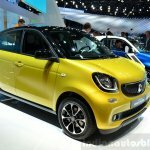 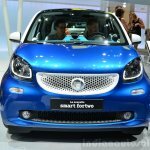 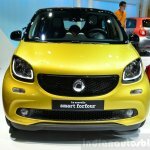 The Mercedes-owned brand offers the new ForTwo and ForFour with a 1.0-litre and a 0.9-litre petrol engines. 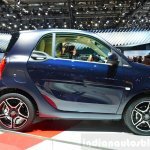 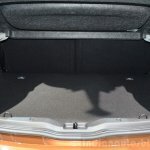 The base 1.0-litre three-cylinder motor develops 71 PS and 91 Nm of torque while the range topping Renault-sourced 0.9-litre turbocharged unit puts out 90 PS and 135 Nm of torque. 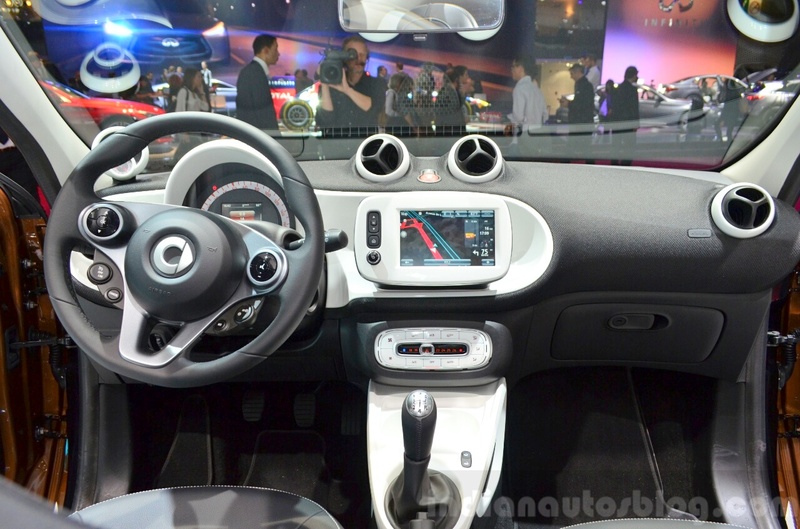 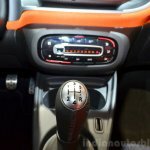 The engines are mated either to a 5-speed manual or a 6-speed dual-clutch automatic transmission. 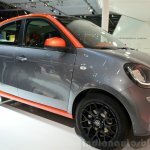 Standard equipments include front and driver knee airbags, ABS, ESP and ASR.